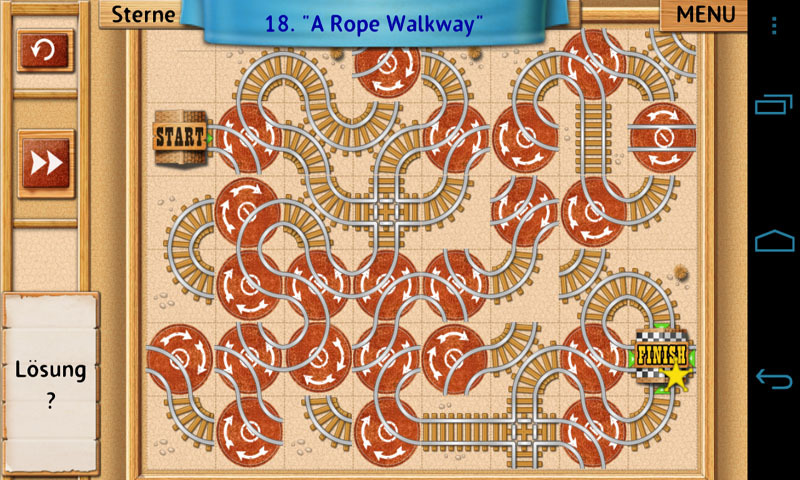 If you're familiar with those games in which the goal is to reconstruct plumbing and water conduits so that the water might be correctly conducted, I think a little spark of familiarity will ignite in your brain when you play Rail Maze. The gameplay is more or less the same, but there are a few unexpected twists and turns along the way. Find out more in today's review. They strike us as perfectly kosher. As mentioned in the teaser, Rail Maze's gameplay is not a new one: turning, repositioning and restructuring conduits is something quite a few of us have tried our hands at—virtually, at least. A fun new factor: Rail Maze has a Wild West theme, it features railroads and pirates on railroads! Sounds like a wild ride! And the goal is to build rails so that the train might run its course. In a nutshell: the gameplay is an already existing concept with a few fun new factors to keep things interesting. Go to normal mode if all you want to do is work on the rail puzzle and enable the train to get from A to B. This mode is challenging enough, as the challenge becomes greater the further you progress in the levels. Every now and then a few bandits (or railroad pirates) are thrown into the mix. Another mode combines the normal one with an added time limit element. You have a certain amount of time in which to blow up old rails, build new ones and reconstruct systems. Rail Maze is a fun new interpretation of a well-loved game concept. Despite the new stylistic elements and a few gameplay gimmicks, there's nothing ground-breakingly new about this app, so if you've spent a lot of time playing these sorts of games and are looking for something completely different to rock your gaming world, you might be a bit disappointed. That said, Rail Maze is fun to play and I do recommend it. It's a perfect game for those 'in between things' moments. 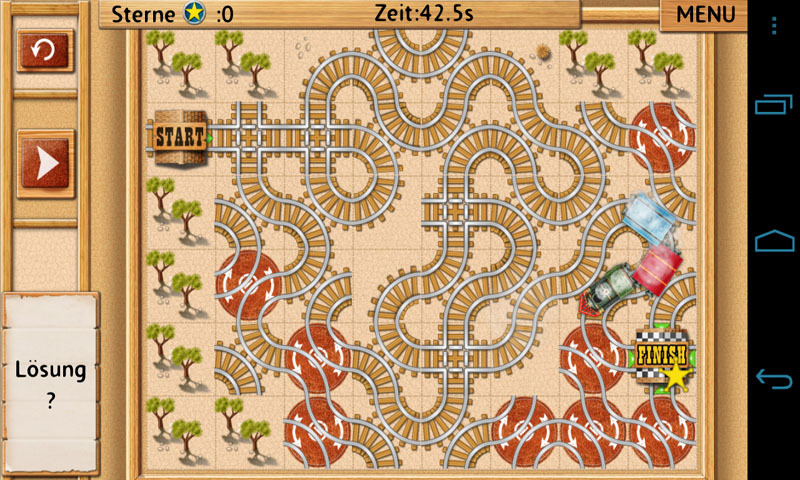 Rail Maze has a simple but fun comic graphics look to it. Learning how to play the game is done in a jiffy. At this point I must tip my hat at the Rail Maze devs. The game runs very smoothly and it's stabile and fast to load to boot. 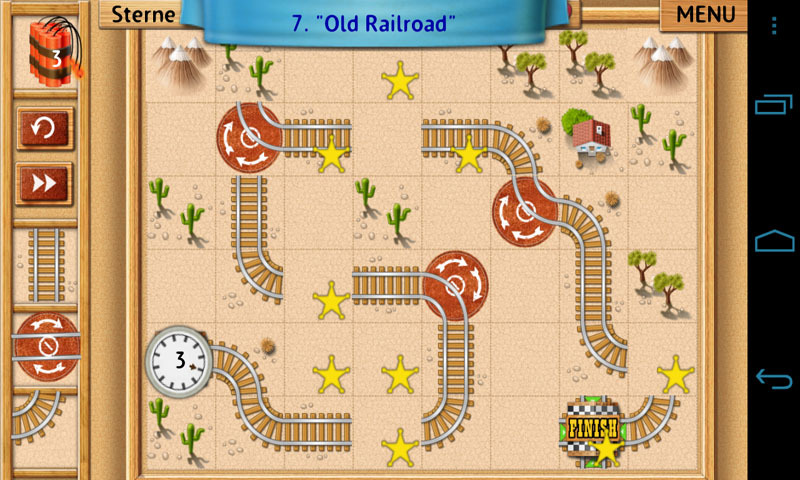 Rail Maze is free and available from Google Play but features a lot of promotional ads, though mercifully these don't pop up in the levels themselves.